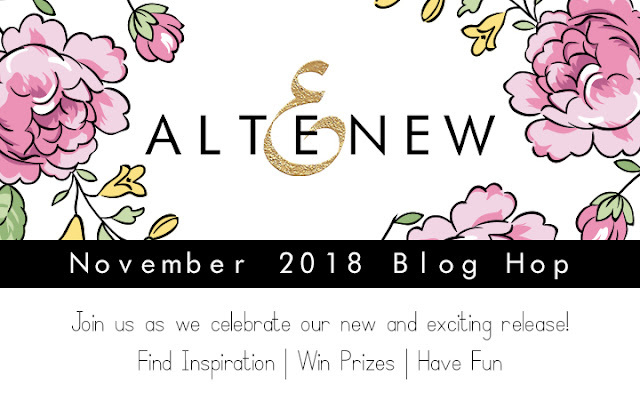 I'm so excited to be joining the Altenew November 2018 stamp/die/ink/sticker release blog hop today! You can find the full release here. It's another awesome release! You should have arrived here from the amazing Lydia Evans' blog! I bet she made some incredible cards again! Let's start with the gorgeous Handpicked Bouquet stamp and die bundle! I made two A2 size top folding card bases and adhered purple and yellow card stock to the front, in the same size. 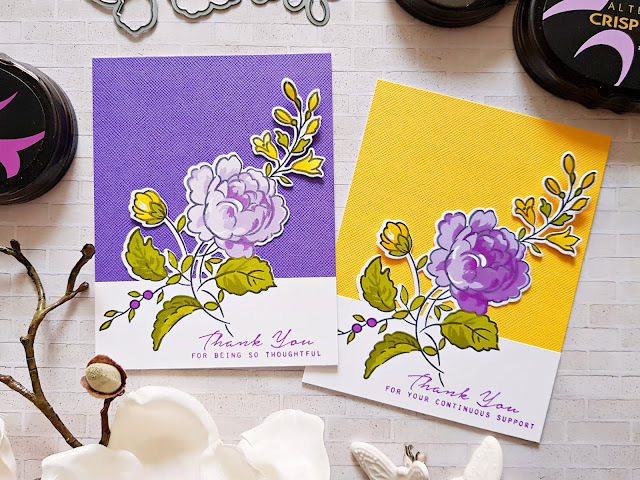 I then selected matching purple and yellow inks and stamped two flowers on white card stock. I partially die cut these images, then attached them to the card base. I stamped the sentiments and done! For my next card duo I used the Wild Ferns stamp and die bundle. I love how realistic these ferns look like once you add all the layers! I stamped them randomly on both these cards, then added some gold detailing with a gold pen. I used the older Thanks die for my title on one of these cards, which I die cut 4 times and layered them up for a more dimensional look. I added some gold thread under it. On my other card I used a sentiment from the Wild Ferns stamp set, which I embossed in gold. I've made another duo with the Wild Ferns set because I wanted to try what they would look like in gray. For these cards I've actually die cut the leaves. The Thanks card is pretty similar to my previous one - I just added some washi tape flowers that I fussy cut. The washi tape I've used for these cards is the suuuuuper gorgeous Glitter Flurries washi tape. I can't even. It's so beautiful! On my other card I just added a circle of pink card stock and created a sort of wreath of leaves and flowers around it. I embossed my sentiment in white. I've created my next three cards with the Engraved Flowers stamp and die bundle. I stamped all my images on water color paper and colored in a few of them. On the first two cards I mixed and matched them with the black stamped images. All sentiments are from this same stamp set and I love love love the font! I kept my third card in black and white. I did add some gold thread in between the layers, just for a little something something! For my last 3 cards I've used the World Map stamp set. I thought this stamp would be great for masculine cards too (then I went ahead and made more feminine cards haha!). One layer cards are not so much my thing but I like how these turned out. I stamped the first one in rainbow colors, stamped my sentiment in black and added some black ink drops. Done :D. There are also some awesome stickers in this release! I've used some of them on these envelopes. Check out the whole collection though, there's lots of different ones! Here I used three different shades of gray ink to stamp an ombre background. Maybe this one is good for a man? Sentiment, black splatters, done! Easy peasy. On my last card for today I've used the beautiful Altenew Razzleberry Crisp embossing powder and the other image from the World Map stamp set. It looks so cool in person, too bad this picture doesn't do it justice. 1. To celebrate this release, Altenew is giving away a $50 gift certificate to 6 lucky winners! Please leave a comment on the Altenew Card blog and/or Altenew Scrapbook blog by 11/18/2018 for a chance to win. 6 winners will be announced on the Altenew blogs on 11/21/2018! 2. I will also draw a winner to receive a $30 gift certificate! I will announce the winner on 11/19/2018. Comment away!!! The winner is BrendaLea, the Prpldy! Congratulations! Please send me an email to mzs6666@googlemail.com so I can send you instructions on how to pick up your prize! I hope you enjoyed today's inspiration! Thanks so much for stopping by! Gorgeous cards! I love the engraved flowers and the map - so much inspiration here! 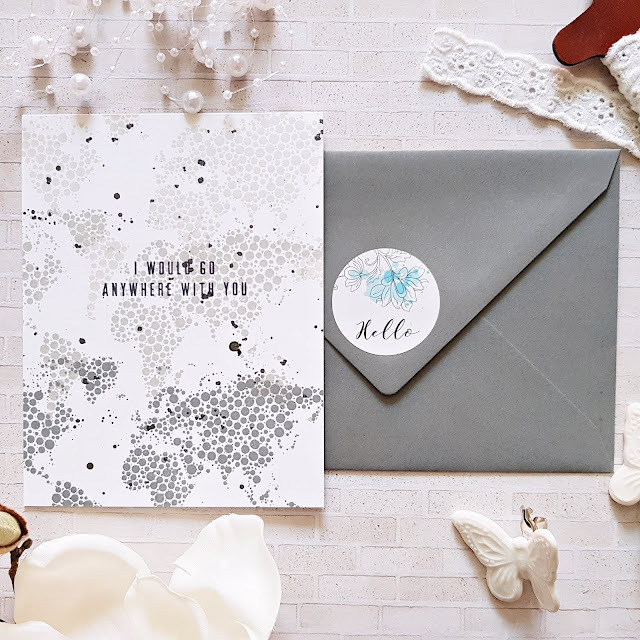 Just beautiful cards - I love your use of the map set - that gray set is so simple, but really eye catching and quite elegant. Thanks for sharing. Beautiful cards!! Loved them all. Thank you for sharing and inspiring. Oh, these are so fantastic! There are a few that definitely stand out to me, but I truly love them all. The stickers look like so much fun! Wonderful cards, colors and styles. Thanks for sharing your inspiring ideas. What beautiful designs! Thank you! 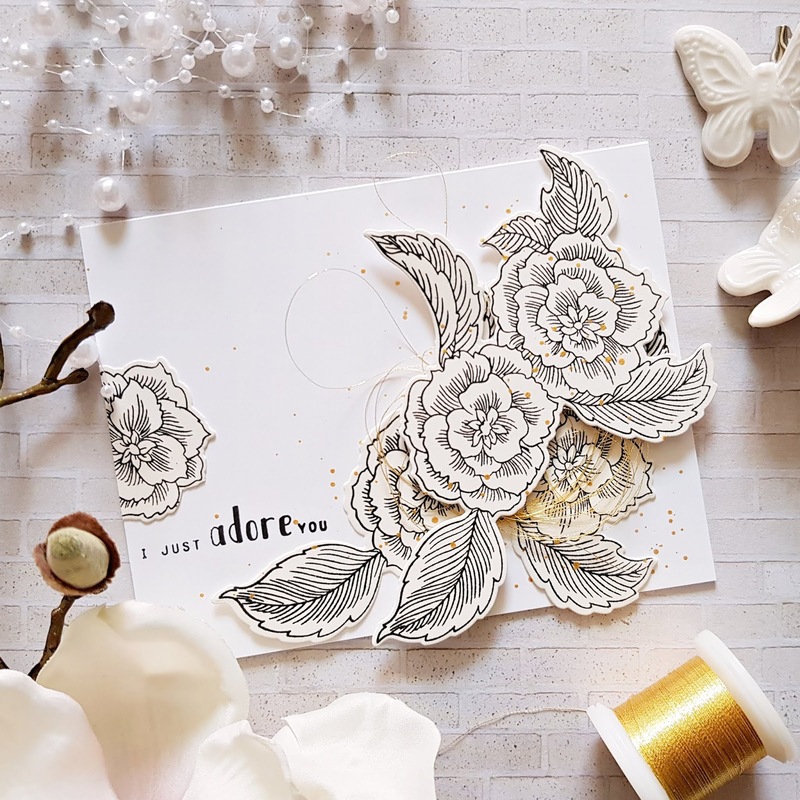 I love the new stickers and inks as well as all your fabulous projects Zsoka! Thanks for the inspiration! Ooh I’m loving those ferns, they look so good with that washi tape! I think you're the first one on the hop to use the dotted version of the world map. What fun! They are all pretty cards. My faves are the Wild Ferns stamped cards. So pretty and elegant. JUST wow! I love them all but really love the purple and yellow combo! 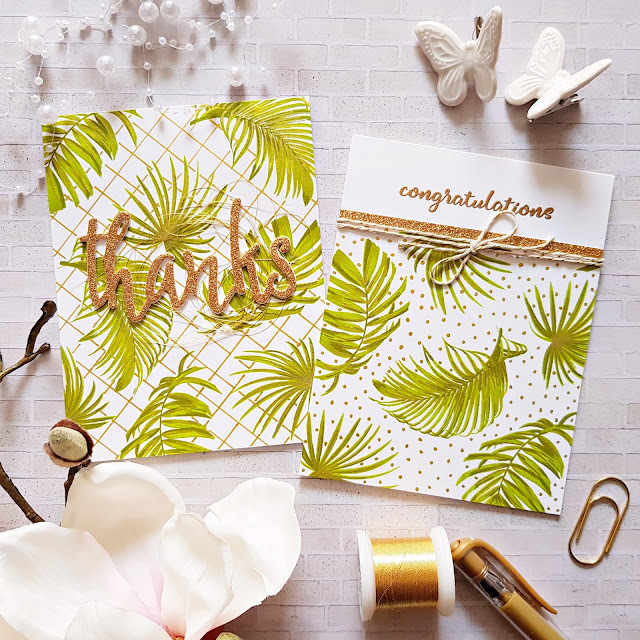 Love all of these cards and especially the ferns! How clever to create a wreath using the ferns. Gorgeous collection of cards! Beautiful designs and gorgeous execution. Wow, what an amazing set of cards. Your designs are beautiful! Especially love your added touch with your gold pen. Love all your cards! I love that you did doubles just changing a few subtle things to make each one unique. Thanks for sharing! Love your cards! :) They are so pretty. I'm loving the black and white and you're right, the gold does add a little something something. It's very beautiful. TFS!! I love all of your cards they're stunning and to pick a favorite. They are all pretty and cheerful. Love the maps so much. omg these cards are just gorgeous!!! Beautiful cards! I love all the colors...so vibrant. love the fern in grey!!! stunning! you're cards are nothing short of amazing! WOW! All of your cards are stunning! Gorgeous You made so many examples that it was hard to pick a favorite but I managed. 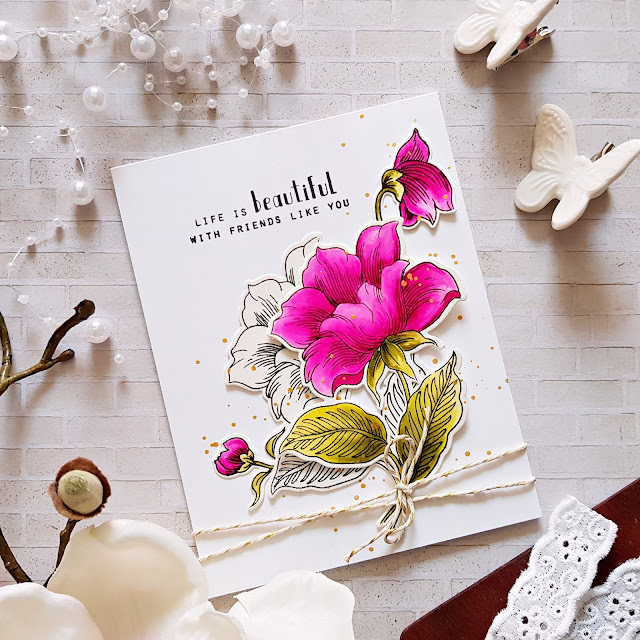 The card with the wreath design and the purple and pink flowers is stunning! I wish you had made a video showing how you created it. Thanks for the inspiration. My first comment had typos so I redid it so that you could read it. These are wonderful! That second set of wild fern cards is my favorite I think, and shortly after that are the etched flowers. So much good stuff at this stop! I love how you added the Wild Ferns into the wreath on the second set of cards. I also love the black and white with the pop of pink on the Engraved Flowers card. Just beautiful! Absolutely beautiful cards. I love the hand-drawn gold details on the fern cards. It adds so much to the design and look of the cards. Awesome creations! I especially love the green Wild Fern cards! Stunning examples of this wonderful new release. Love all your designs, especially the Wild Ferns. So many cards--have no idea how you find the time but they are all stunning! This array of cards are amazing, I am loving the card duels, and each one following that made my heart beats a little faster!! Stunning cards!!! Love this latest Altenew release. Wow Stunning cards! Love your color scheme on all of these. Very creative and inspirational. Awesome cards! The yellow and purple one is my favourite! You amazed me, not only with the amount of cards you created, but also with the amount of products you showcased so beautifully, and the beauty of each card. As soon ad I would have a favorite card, then reading more, I would see another favorite, but then reading more of your post I would yet see another gorgeous card. And so on, and so on. So I will stick with my first which is the first set of cards. Love the partial die cut. WOW, you were busy!! These cards are gorgeous, each and every one of them. Thank you for sharing with us!! Thanks for sharing your beautiful cards and for making so many! I'm inspired and can't wait to get started! 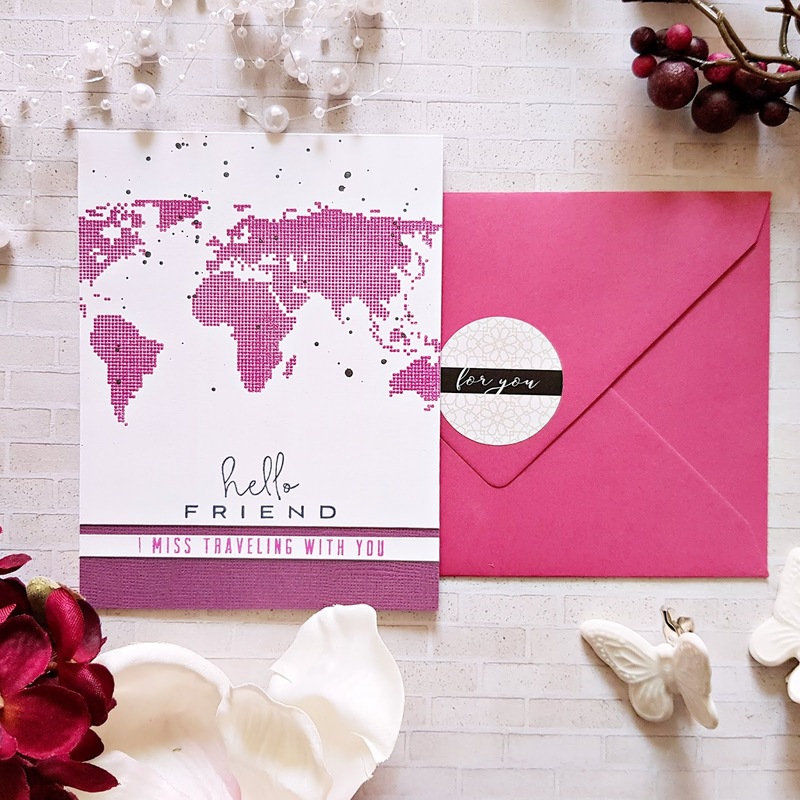 The World Map stamp set is so cool - love your cards! Beautiful cards. I love this release and you've done a wonderful job of showcasing it. Very nice cards!! 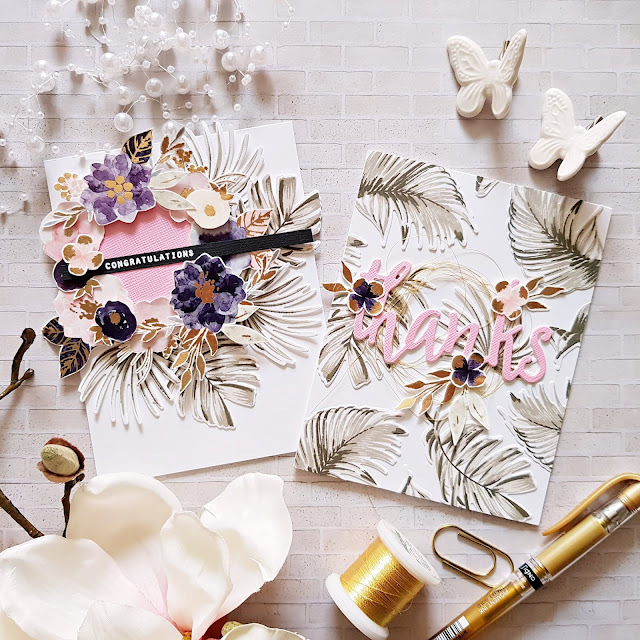 I love the two cards you made with gray ferns and cutting out the Washi tape. They are simply gorgeous!! I think you had a lot of fun creating these beauties! I would like to know how you partially cut the die in the very first card. Such gorgeous cards!! I love the gray ferns and the multicolored map. Gorgeous cards, love the envelopes too, a pretty finish to these beautiful cards. Love the ferns especially. Beautiful cards! The wild ferns are especially pretty! Your cards are very fun, colourful & sophisticated. Thank you for inspiring me. Wonderful cards. I like your choice of colors. Love the use of black and white in your cards. Wow! So many cards. There is lots to love for each one, but my favorite is the first engraved flowers one. 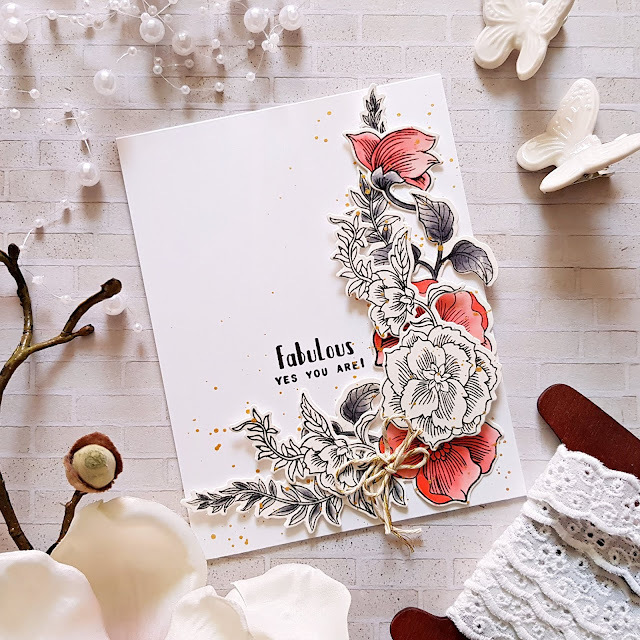 I just love the combination of black-and-white and colored flowers, and the layout of the design is gorgeous. I love how you combined the greyscale with colors in these cards. I think the use of the washi tape to make the bouquets on top of the grey leaves is particularly ingenious; it's such a classy look. Thanks for sharing all these great ideas with us! What a fabulous release! I absolutely love the engraved flowers and handpicked bouquet stamp sets & the leaf medallion die! 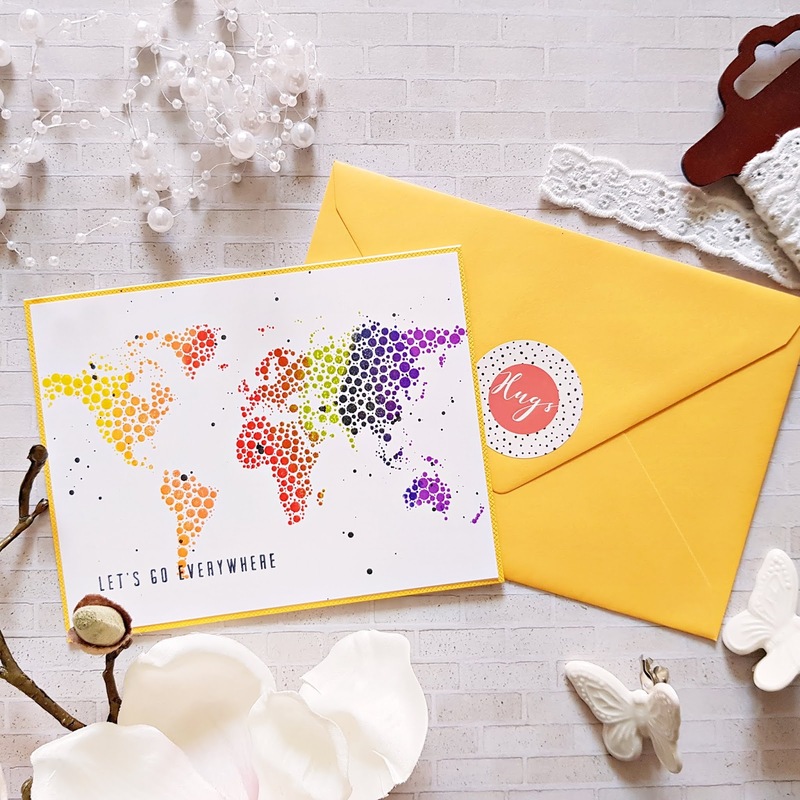 Love the colour schemes on your beautiful cards! beautiful inspiration! luv the ferns against a lattice background! Lovely cards! The Engraved Flowers set is really gorgeous!